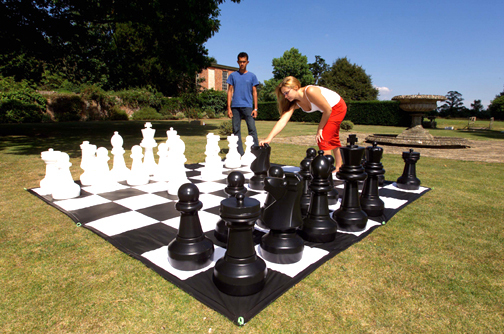 Strategy, skill and of course a lot of luck combine to make this giant version of a well known game a fantastic time for all ages. Take turns to drop your counters in to the frame to try to form a line of 4 and stop your opponent from doing the same. Play in teams to discover who can plan ahead with the winning line of attack. 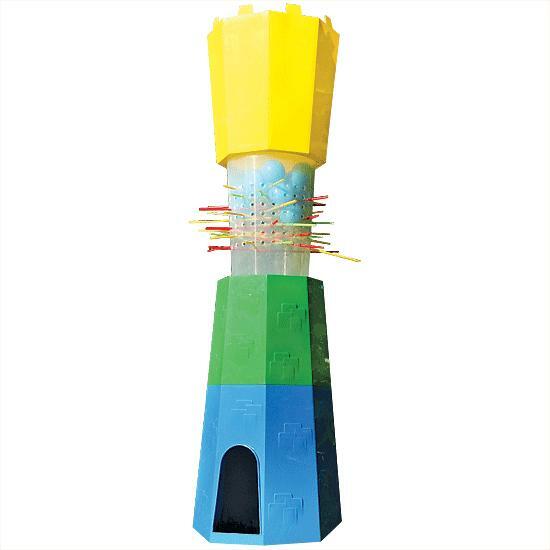 You must determine the right movements to destabilize the tower and hope your opponent takes the fall. 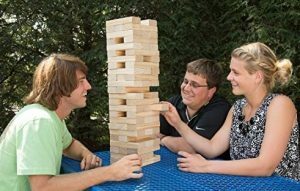 With 58 solid wooden blocks, Giant Jenga builds from approximately 3 feet 6 inches at the start of the game, to 5 feet maximum in play. 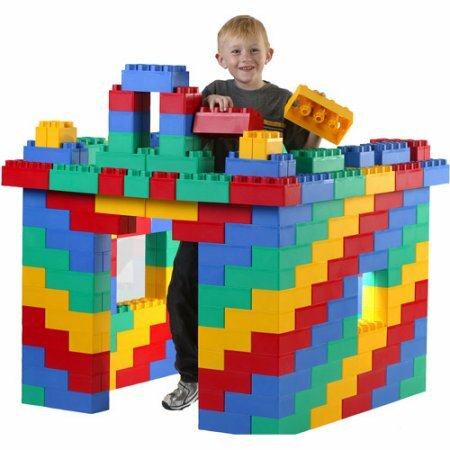 Only the steadiest of hands can succeed in this game of daring tension. Try to remove each stick in turn without moving any of the others. Each of the different color sticks denotes a different point. 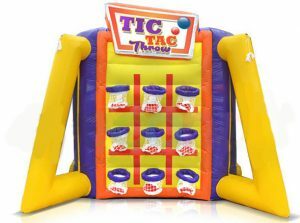 Rack up the highest score of the day to claim the winner’s crown. 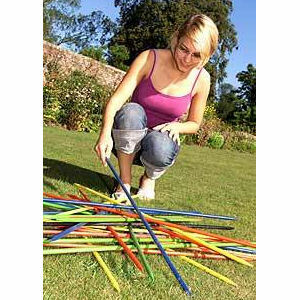 This Giant Game contains 30 wooden sticks that are 3 feet in length. 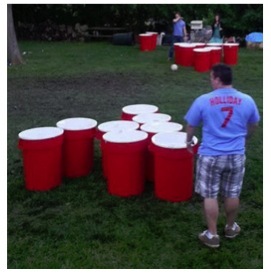 Giant Pong just got a lot more fun. 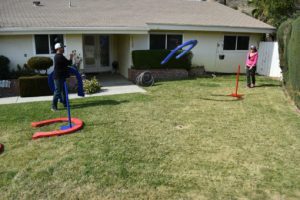 Try to aim your soccer or volleyball at your opponents oversized buckets, throw and hope you can land it in the bucket, eliminating that bucket from your opponents setup. The person or team with the most buckets left, wins! 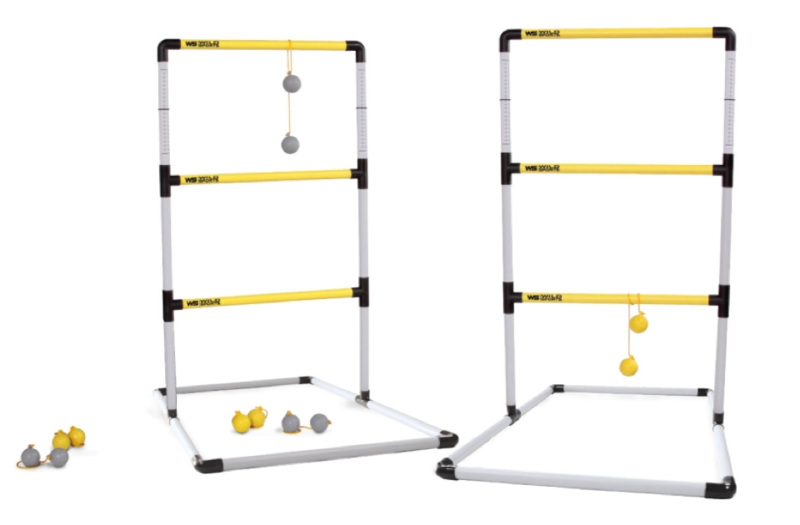 Play by throwing the bolas at the ladders and earn points with each toss that lands on the frame. 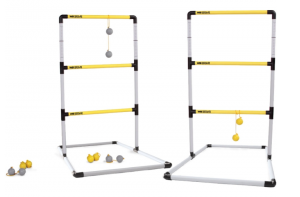 SnookBall is a hybrid sport that lets you play pool with your feet. 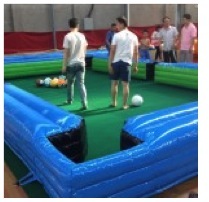 SnookBall is a combination of pool and soccer. 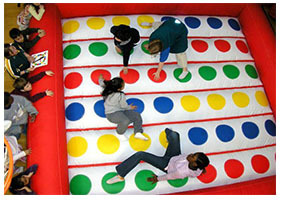 The sport is played on a giant pool table that multiple players can walk on. 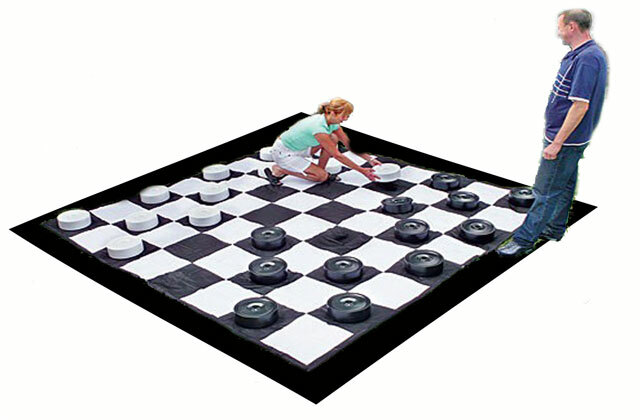 All the rules are the same as pool, except that you use your feet instead of a cue and the balls are replaced by footballs. 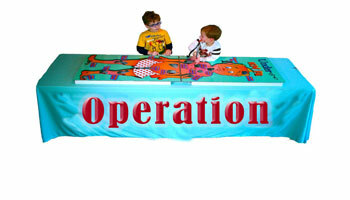 The wacky sport is generally a two player game, but the table can accommodate up to four players. All the soccer balls retain the look of standard pool balls, but are obviously larger and lighter. The white striker ball is slightly heavier than the rest, just to make the game more interesting. 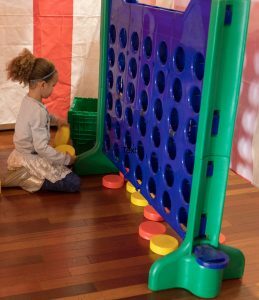 Enjoy the challenge of kicking a velcro ball onto the velcro dart board, kids as well as adults will have an amazing time battling to get the highest score by kicking the ball to hit the highest scored.